Senator Ike Ekweremadu has noted that Nigeria may not recover from the age long lack of development and decay in infrastructure. Pointing out that a country that lack peace and security cannot think of development. 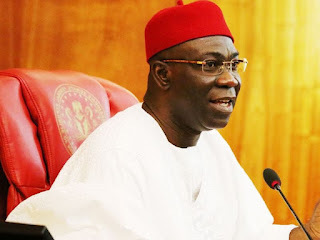 Ekweremadu spewed his anger on the recent Benue and Taraba killings on today’s senate plenary, saying that Nigerians must have peace and security before thinking of infrastructure and development. According to him, “The senate is not the only group or body concerned, Nigerians are also worried. We are tired of always observing a minute silence, we must have peace and security before even thinking of infrastructure and development in the Country”, he said.